From my notes I present an edited version of Robert Henderson's message for Thursday Afternoon at the Prophetic Conference: "What is Heaven Saying for 2018?" There are Legal principles of the Holy Spirit to release God’s Will on Earth. This year 2018 will bring forth a new break through, which is ever changing and always new. The important thing is that God desires Fruit that will last. What is working? Here is the problem: What are you looking at? I am not talking about the news on the TV, but what are you seeing in the Spirit about what is going on in your world? God desires to teach us to “Read the times.” May God teach us to change the way we see. Be open, be bold in faith. Jesus taught his disciples how to pray. There are three dimensions in His sample prayer. First, Honor God. Men should always pray and not doubt. What are you asking for - - God says he will do it. Be persistent and approach the Father with boldness. Prayer is NOT to get God to do something or to convince Him to give you something. Find a quiet place and stay until God moves. Prayer is Spiritually agreeing with God who desires to give. There are three separate dimensions to prayer. It is necessary to step into the spiritual dimension, in secret. Once there is a shift of favor you will receive. When we pray in tongues we are speaking mysteries, and you open up a new dimension. In English, I say what the Word of God says, then take your place and move into the realm of the Spirit. John 3:13 No one has ascended into heaven except the one who descended from heaven--the Son of Man. Jesus did not save us to get us ready for heaven, but for us to live for him now. He gave us a commission to go forth and share the good news. You have the capability to be in heaven and on earth at the same time. What is the course of heaven? There is certain protocol. If you are born again, you are that special person referred to. God does not dwell in buildings made with hands, but God dwells in YOU. Your body is the temple of the Lord. Elijah was in prayer, then he went to King Ahab and said; “From this Spiritual Dimension I am decreeing thus and thus.” And it was so. Go in and shut the door as you enter into the secret place, the spiritual dimension and seek; Abba Father. Approach God as your Father who cares for you. Pray in tongues maybe for an hour. The Spirit helps us how to pray. The first dimension is Worship: “Hallowed be thy name.” Seek Him, Thank Him for all He is and for what He has already done. He will meet my needs, because He is my provider. We don’t need the church to repent. - - We need a church to be a friend of God. This is the second dimension, to take your place in the courts of God. Speak out the decrees that He tells you. Speak out God’s will on earth and the purpose of God. Decree it on earth. Jesus moved in more than one dimension. He always knew what the Father was saying. Daniel’s prayer was hindered because there was an adversary in another dimension. Be sober because your enemy the devil walks about making noise, wanting to devour and trying to defeat the purpose of God. You were built for something more. It is time to step up, draw nigh to God and resist the devil. Fellowship with God first, then resist the enemy. Don’t waste your destiny with broken promises; time after time, over and over. The enemy finds a weakness then beats you up over it. He brings condemnation, so repent and do the first works again. There were decrees made by your forefathers, that we are enjoying today, but it is time for us to make our own decrees. The third dimension is the Kingdom and the Glory. Bring down the destiny of heaven to earth. 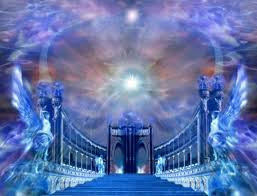 Expand the atmosphere; enlarge the dimension as we enter the Holy Court. Remove anything that hinders me from going forward. Your blood cries out even as did the blood of Abel. Jesus’ blood weeps for advancement. Even as we stand before your throne, we thank you for the privilege to stand here. We agree with the Testimony of Jesus and the Spirit of Prophecy. Thank you, Father for doing it. In Jesus Name amen.